2013 Eastern Approaches Museum of St Albans, Herts. 2011 'Steeling Skies', Shiregreen, Sheffield. 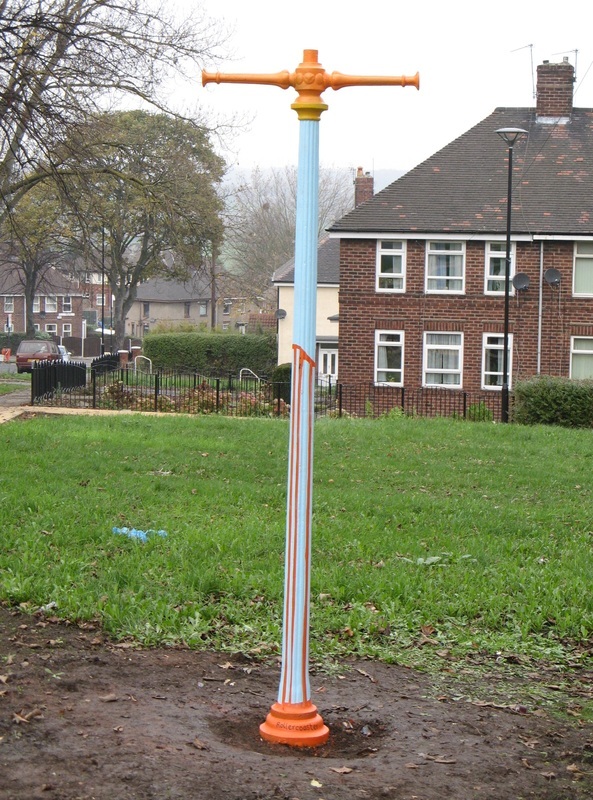 Seven permanent artworks commisisoned by rednile Projects Ltd.
'Rollercoaster', 2011, one of 7 lampposts commissioned by rednile Projects, Ltd. for 'Steeling Skies', Sheffield. From 2007 - 2017 Steve Wright has been a Director of rednile Projects Ltd. He has been commissioned by rednile as artist and writer, notably for 'Steeling Skies' in Shiregreen, Sheffield where he painted seven cast-iron lampposts that had been re-installed on the estate for use as street signage.